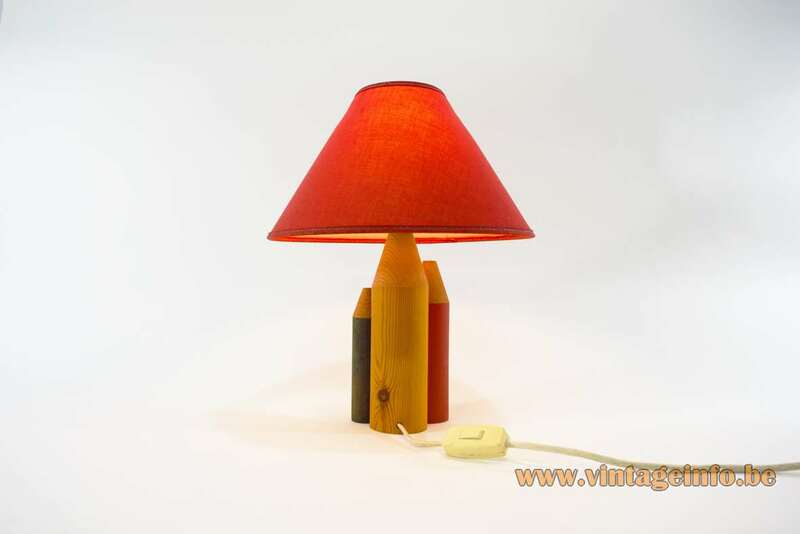 Materials: Red, yellow and green painted pine wood pencils. 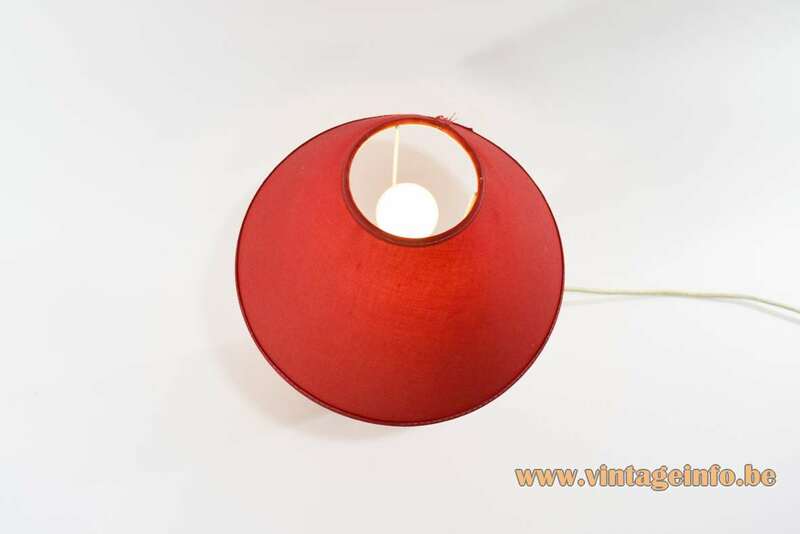 Red fabric lampshade. Some metal parts, Bakelite socket. 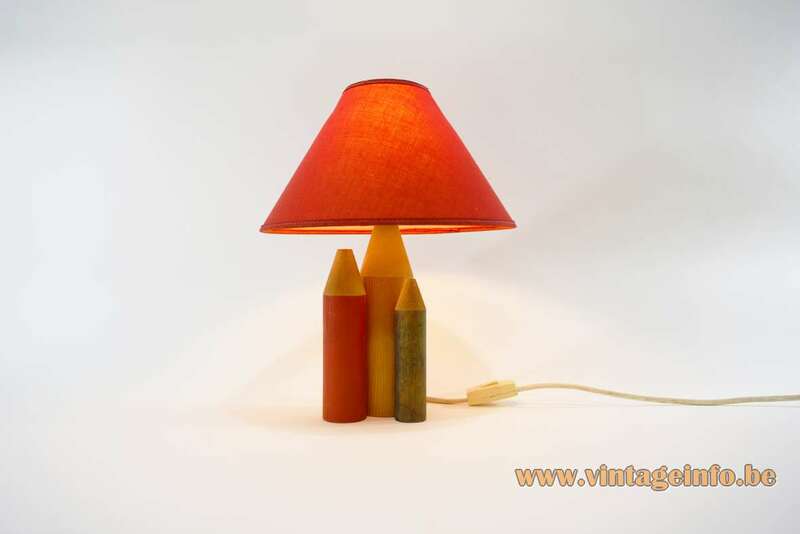 Other versions: probably made in different colours. 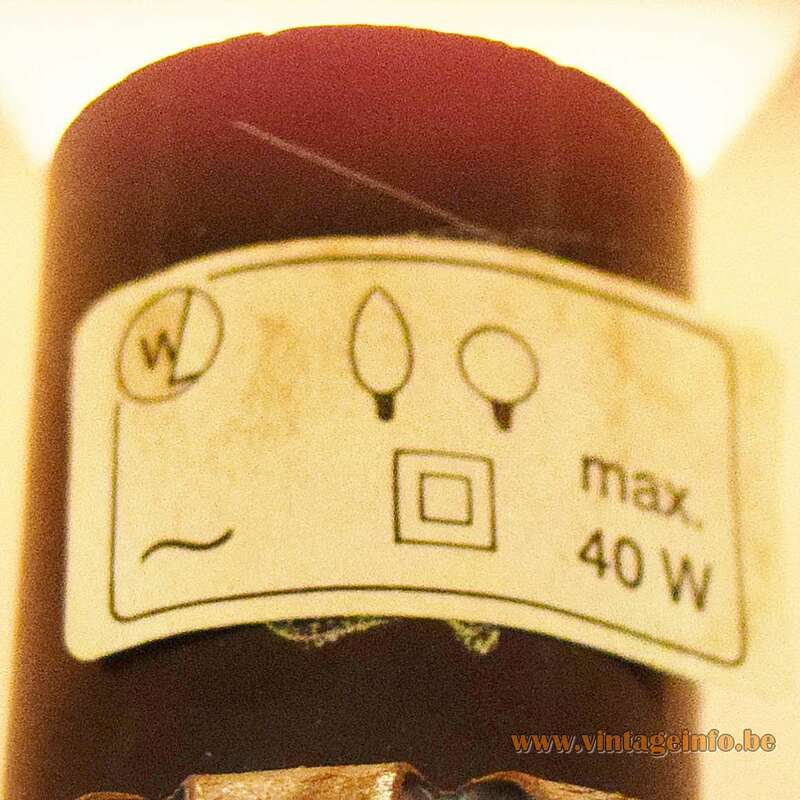 This lamp has a label with the monogram WL. No information to be found, unfortunately. 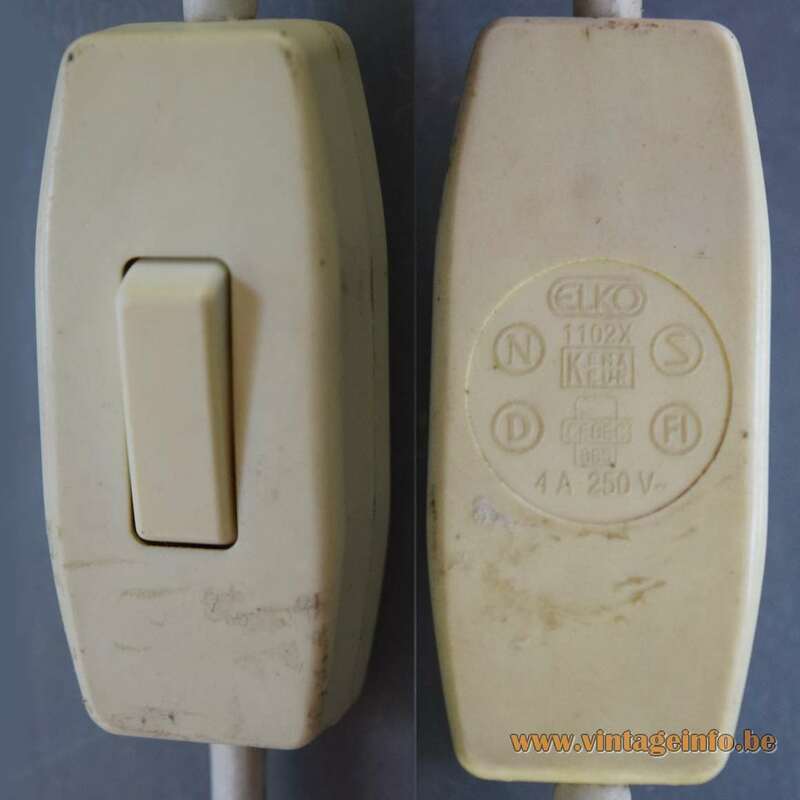 The switch was produced by Norwegian company ELKO AS – A/S Elektrokontakt. 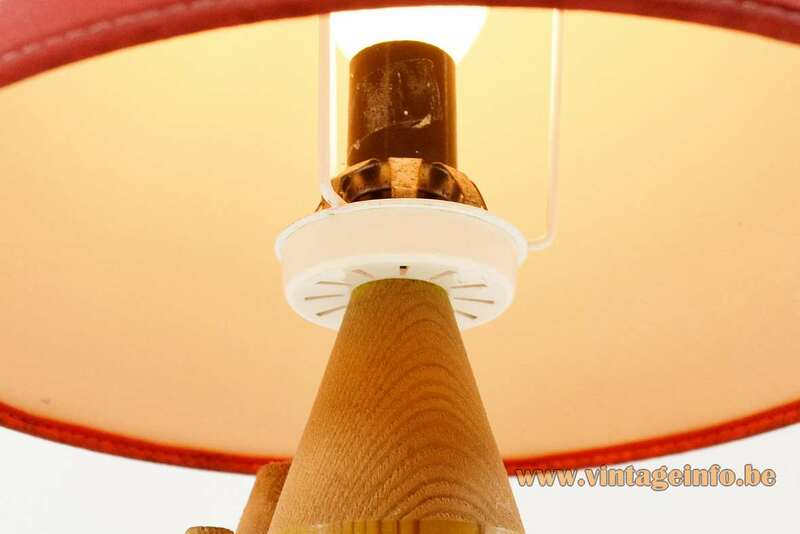 It is the same switch used for the 1st editions of the Jucker lamp designed by Afra and Tobia Scarpa. 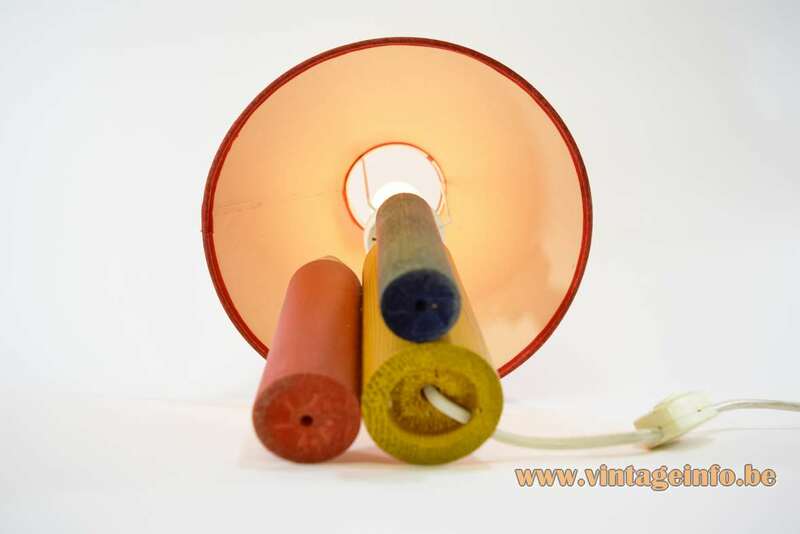 The Jucker was produced by FLOS for the first time in the early 60s. The switch is produced ever since and is still for sale (2018). A/S Elektrokontakt was founded in 1945 in Blåkorsgården in Oslo, Norway. It was the engineers Ervik and Kristensen who after the Second World War saw a huge demand for electromechanical products. It became a huge company over the years. 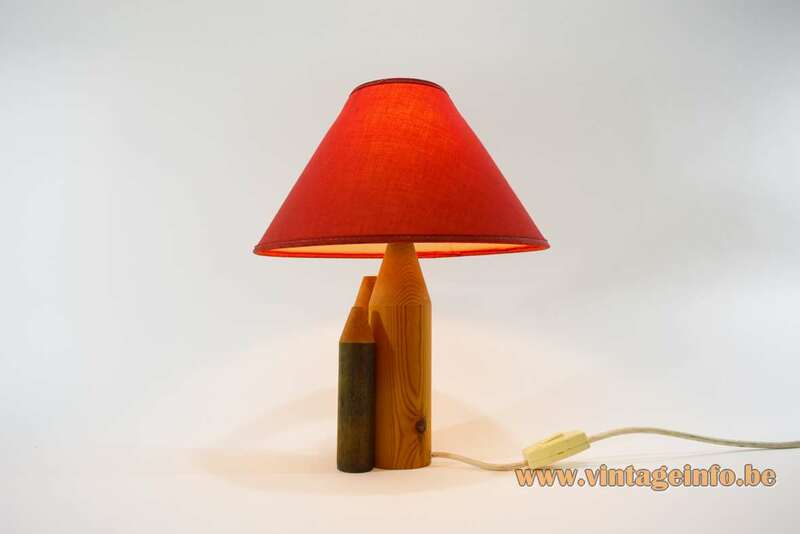 The other electric parts of this lamp were also made in the 1960s/1970s.